I sent my short-order cookin’ alter ego, Lazy Person (LP), out on another gastronomical scavenger hunt; actually I sent him out so that I could track his whereabouts. Here of late LP’s been returning home with great finds in the grocery tote and I was curious where he was picking up all of these epicurean delights. So, I donned glasses and a mustache, over my real glasses and mustache (actually a beard), and went ingognito hot on his tail. Turns out, he’s spending a lot of time AND a lot of money with my ATM card at a tree stump. That’s right. A TREE STUMP. Actually, it’s il Ceppo (tree stump), a gastronomical oasis of mouth-watering delights located under the porticos at the very end of Vicenza, Italy’s iconic Corso Palladio. 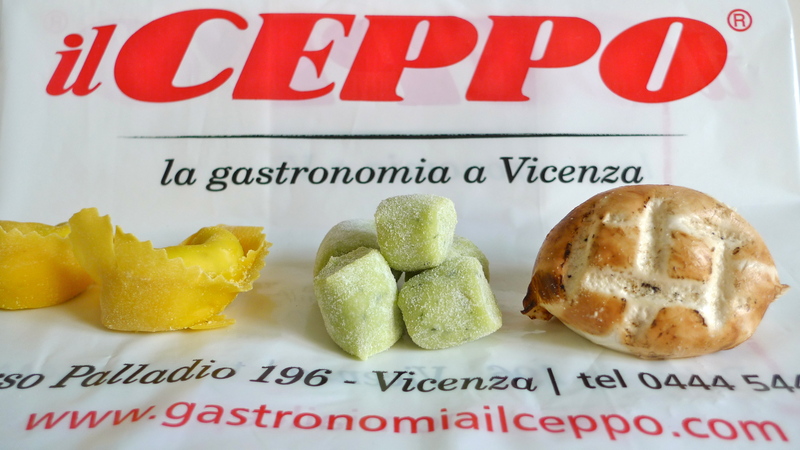 If you live in the U-S-of-A and frequent Whole Foods Market or Trader Joe’s, then you would just fall in love with il Ceppo, the ultimate foodie address in Vicenza since 1971. 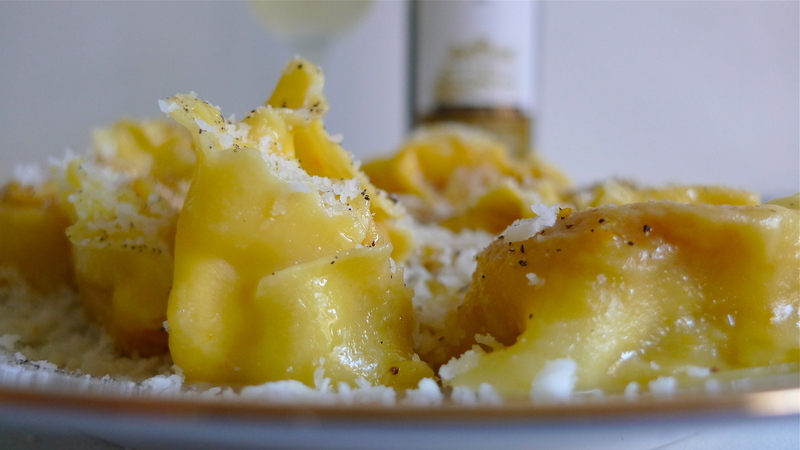 This narrow gastronomia is filled to the brim with just about every culinary specialty of the Vicenza province, many of which are made right on the premises. There’s a full-service deli counter that spans the length of the store loaded with fresh salami and an array of cold cuts, a cornucopia of cheeses, homemade pasta (gnocchi, tagliatelle, tortellini and tortelloni), ragù and other sauces, piping hot entrees — including the city’s centuries-old signature dish, Baccalà alla Vicentina (polenta and creamy codfish) — and a variety of appetizers that would make any dinner party a five-star event. 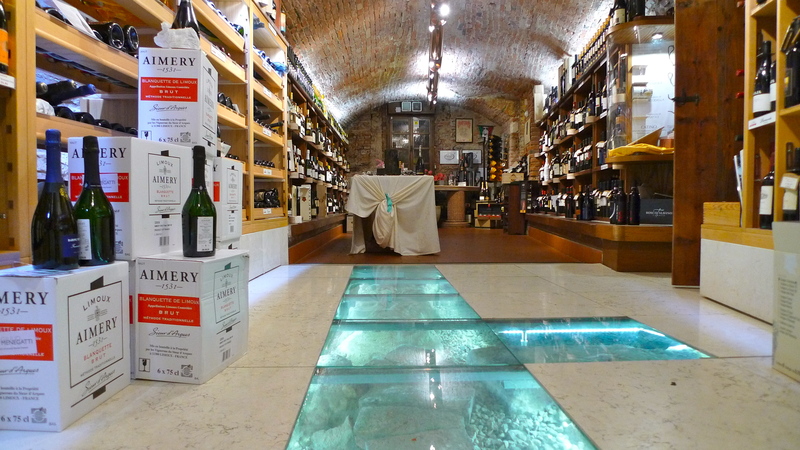 Underneath the wholesome goodness above is the il Ceppo enoteca (wine cellar) filled with 500+ bottles of the grape — white, red, rosato and sparkling — along with liquore (cordials), digestivos (digestives) and distilled spirits. And at your service in this urban vineyard are two, on-duty, certified sommelier — Maria-Giovanna and Ivanna. 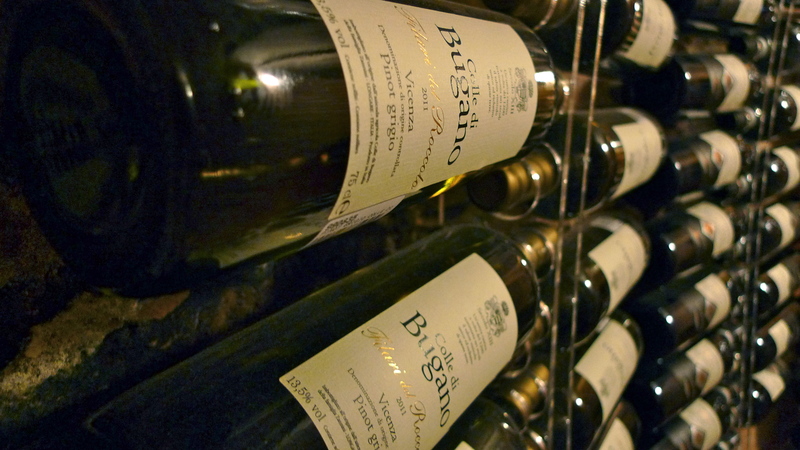 Just show them what you’ve purchased upstairs and they’ll select the perfect bottle of wine to pair nicely with your selections. The warm and friendly staff at il Ceppo is very knowledgeable and go out of their way to offer suggestions on how you can prep and plate your selections at home. 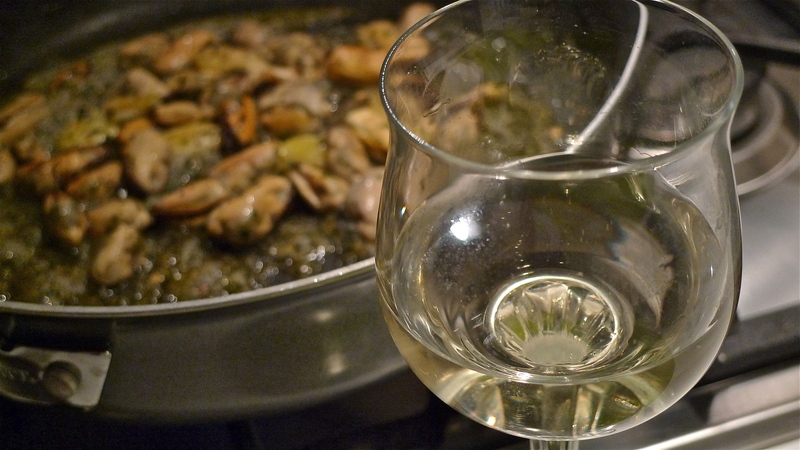 And, for special occasions and events they’re fully staffed to cater your affair wherever you like, or serve as your host for an in-house dinner party right dowstairs in the aforementioned climate-controlled enoteca. Now, HOW LAZY IS THAT? 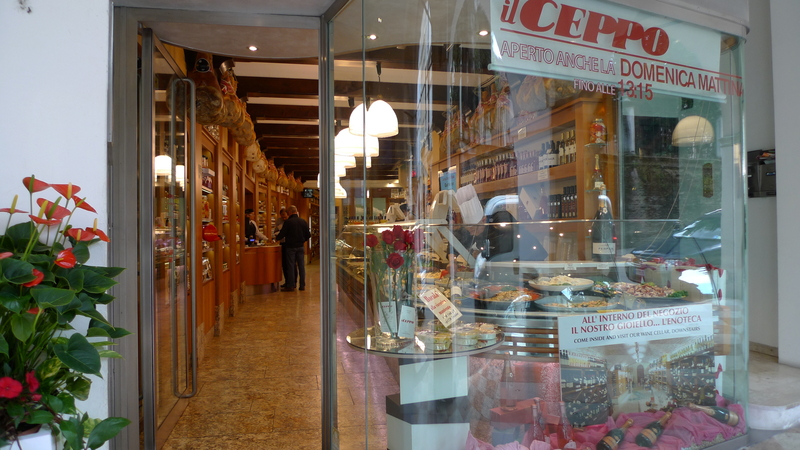 Il Ceppo is the epicenter of Vicenza’s take-out crowd. Just stroll up and down the Corso Palladio and you quickly loose count on how many people are hurrying home with their tongues hanging out carrying the white bags with the bright red font. While some people may be encouraged to “head for the border,” I’m going to enjoy my daily “milk runs” with LP to il Ceppo.